News Exposure is a Digital Content Solutions Company specializing in Media Research, Media Monitoring, Press Release Distribution and Media Analysis. News Exposure created the first HD Digital archive in the media monitoring industry with content dating back to 2004. Companies across the US have come to rely on News Exposure for the highest quality content and customer service in the industry. News Exposure provides the highest quality television and radio clips in the industry. Recording digitally in both in HDTV (high-definition TV) and SDTV (standard-definition TV). News Exposure also excels in both English language and Spanish language broadcast monitoring, providing coverage at both a national and a local level throughout the United States. News Exposure provides service both to professionals and to individuals. Professionals acquire clips for airchecks (air checks), reporter reels, promos, sizzle reels, presentations, meetings, documentaries, research, and more. Individuals acquire clips as keepsakes, to share their experience, etc. David H Lasker worked as a video journalist during the 90s, covering breaking news (accidents, fires, homicides, etc.) in the Chicago television market. He also reported from the scene for WMAQ Radio, and later for Chicago radio legend Eddie Schwartz / WLUP Radio. In 2000, David founded Nationwide News Monitors (NNM). In 2003, NNM joined a network of news monitoring services throughout the world, pooling their data in one searchable database, to compete globally. In 2004, David saw the need to create a permanent archive of all recorded content. With the cost of recordable DVDs dropping in price, this became affordable, and gave NNM a huge advantage in the monitoring industry. In 2005, NNM joined News Data Service (NDS), a US based network of news monitoring services that focus on US content. This gave NNM an edge because each of the 40 companies in the network pay attention to detail in their respective markets, providing the best data in the industry. Sadly, both NNM and VMS closed their doors in 2011. News Exposure was created in 2011, and not only picks up where NNM left off, but adds another first to the monitoring industry–a permanent HD TV content library (that began in November, 2010). David has again brought a new exclusive niche to the industry. Mary Ann Halvorson joined News Exposure in February, 2013. She brings eight years of experience in the media monitoring industry and a knack for client satisfaction. Mary Ann has worked with companies such as Fleishman Hillard, Edelman and Weber Shandwick, just to name a few. Mary Ann’s customer service and attention to client’s needs is unrivaled and has been proven with glowing reviews from her clients. 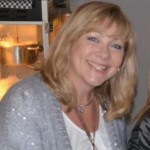 She looks forward to hearing from you and helping you devise a plan to meet and exceed your media monitoring needs.